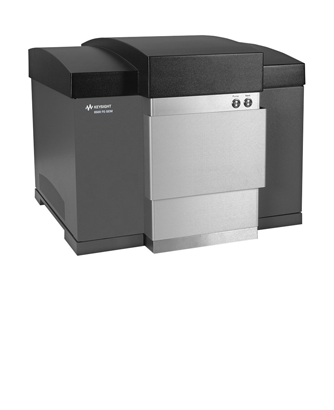 The Keysight 8500 FE-SEM is a compact system that offers researchers a field emission scanning electron microscope (FE-SEM) right in their own laboratory. The innovative 8500 has been optimized for low-voltage imaging, extremely high surface contrast, and resolution typically found only in much larger and more expensive field emission microscopes. About the size of a laser printer, the easy-to-install 8500 provides convenient plug-and-play performance. No dedicated facilities are required, only an AC power outlet. The novel scientific-grade system offers several imaging techniques for enhancing surface contrast and allowing nanoscale features to be observed on a wide variety of nanostructured materials, including polymers, thin films, biomaterials, and other energy-sensitive samples on any substrate, even glass.